I am diligent about not posting photos of myself. This isn’t that kind of blog. Yet, somehow, there I am. 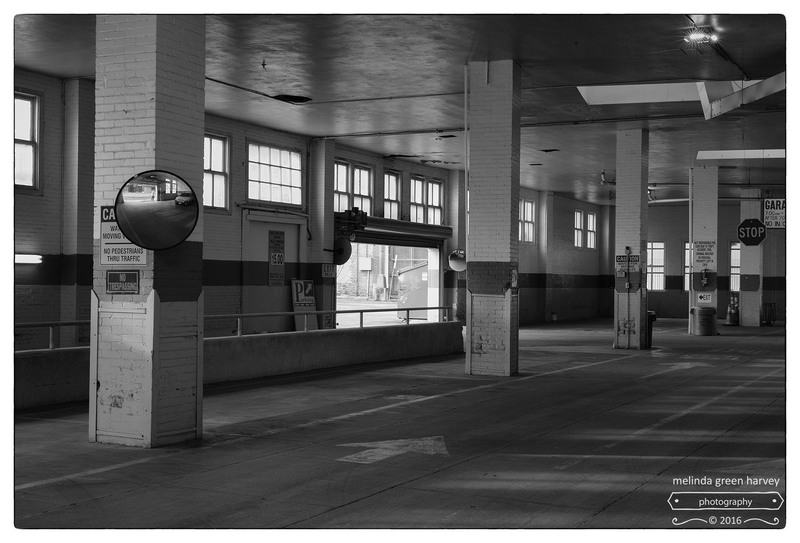 Posted on June 7, 2016, in Photography and tagged 365 photo project, black and white photography, downtown, Leica, melinda green harvey, Mirror, monochrome, one day one image, parking garage, photo a day, photography, postaday, reflection, san antonio, san antonio texas, self portrait, texas. Bookmark the permalink. 17 Comments. Albeit a very diminuitive image of the photographer. Nice balance of inside/outside light. Yes, I am a wee person (in this photo). Your so tiny it’s not possible to see you. I’m a tiny reflection in the mirror on the left…. …and now you can recognize me! I found you but I cannot see a camera in your hands? I was using a small-ish camera that day! Never ever photograph a mirror or even a shiny surface. Now if someone comes up to you on a street and tells you that they like your photos, it could be me. If anyone actually ever came up and said that, I’d probably faint from the shock of it all! So, when you DO see me, try to ease into the conversation! Oh dear. Now I’m self conscious!